If there’s one name in the Forza Racing Championship that feels like it came out of nowhere, it would be that of Gary “Mitch” Mitchell – or Williams Mitch as he’s known in the racing esports scene, a British driver who was inspired to begin competing in the Forza series of games following the release of Forza Motorsport 6. Whilst he began playing Forza Motorsport back in 2007 when Forza Motorsport 2 launched on Xbox 360, he decided to spend some time away from the franchise. 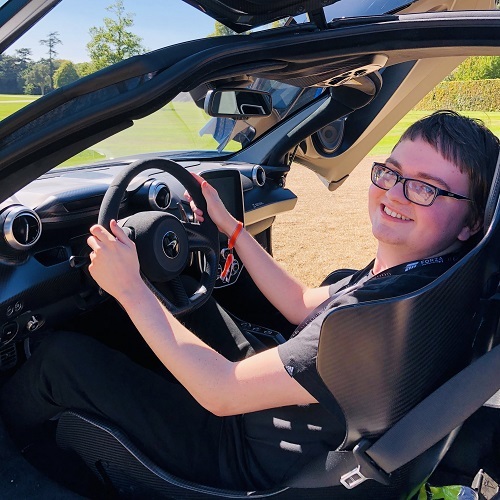 It would ultimately be several years before he’d return to the Forza series and make an entrance into the competitive scene after stumbling upon a little YouTube channel known as YMTVRacing. “Alie and Aaron’s content was really exciting to watch and provided me with the motivation I needed to return to Forza, to compete for the first time. I had always been a casual racer before, and ironically, I don’t think I’d be here now if it wasn’t for YMTV,” the British ForzaRC driver tells me. Alie “Yaachts” Tacq and Aaron Martin “Mellish” Pilkington are both co-founders of YMTVRacing and have also made a name for themselves in the Forza Racing Championship as two of its leading talent faces. Alie sits on the casting desk to provide live race-by-race commentary, whilst Aaron offers a deep analysis with insights of each race following the on-track action. Despite their positions within the ForzaRC series, YMTVRacing continues to provide live commentated broadcasts of community racing events on the Forza franchise. Whilst Mitch has rose to fame in the Forza esports scene, it wouldn’t be his first taste of virtual racing. The British driver experienced Gran Turismo 2 when he was just four years old. “I’ve always been somebody who plays a variety of different games series, racing games usually being at the forefront of which,” he says. Little did Mitch know back then that he’d become one of the leading and most recognized names in the Forza Racing Championship esports series. 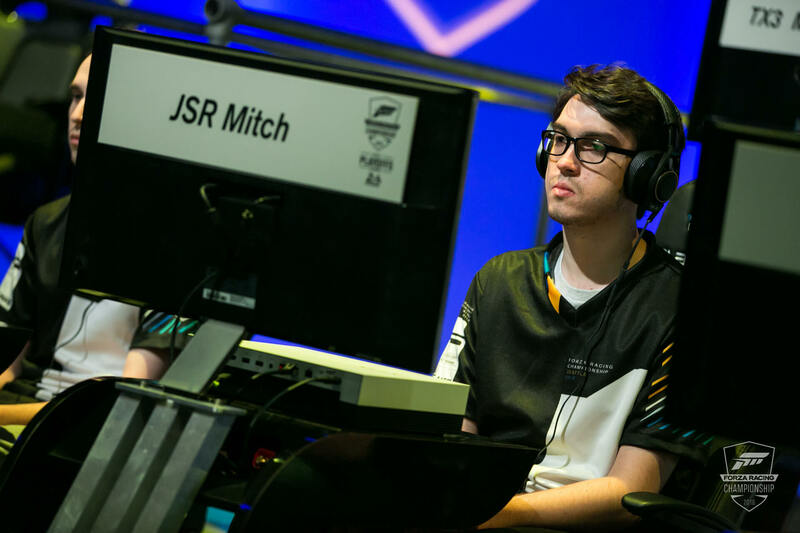 Despite the inaugural season of the ForzaRC beginning in 2016 before being followed with a Le Mans-themed competition in 2017, it wouldn’t be until 2018 when Mitch would make begin to showcase his racing ability in the official Microsoft esports competition. 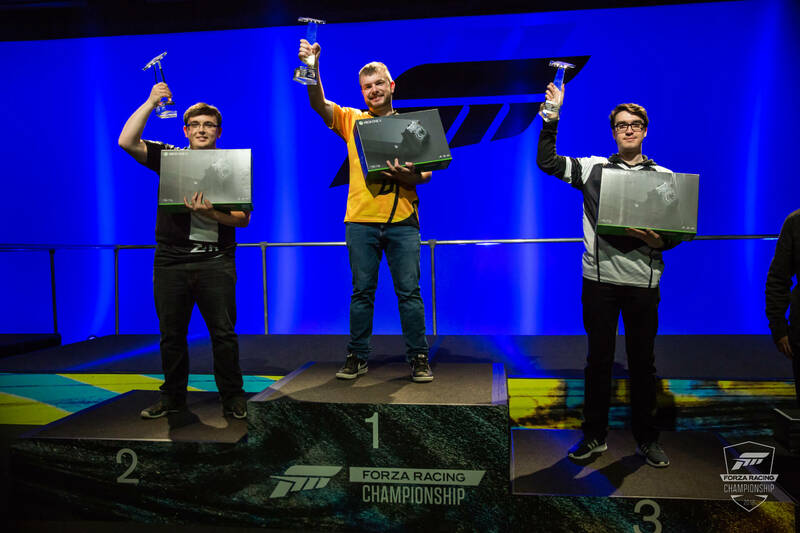 This was Mitch’s first season of the Forza Racing Championship and it saw him battle it out for podium positions on the global stage in Seattle, Mexico City and London – the locations where Microsoft hosted its playoffs events and finale for the 2018 ForzaRC season. At all three of them, Mitch earned a third-place overall finish. This makes him one of the highest-winning competitors in the ForzaRC scene and the British forerunner in Microsoft’s racing esports series. Following his early success in Seattle, Mitch would be signed by Formula 1 team Williams, leaving behind his former teammates at Japspeed Racing. 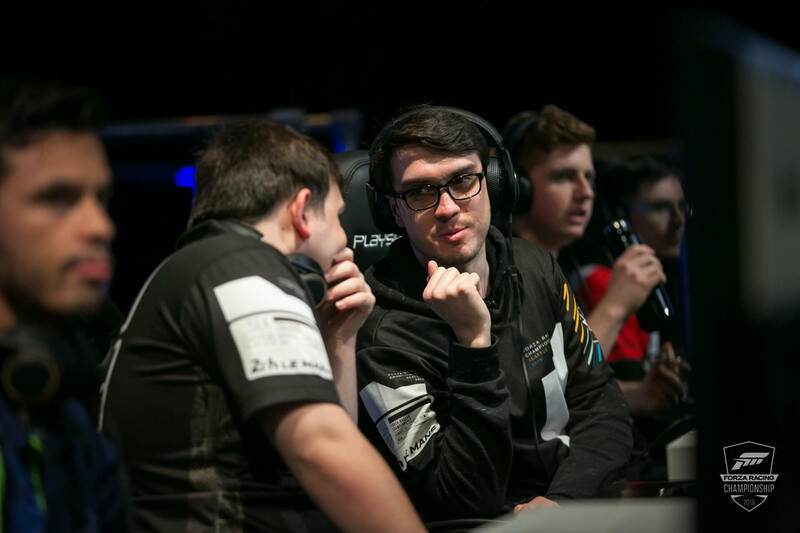 Mitch’s efforts in the ForzaRC would see him on the podium alongside the two other main champions of the 2018 season – Aurélien “Laige” Mallet of G2 Esports and Robin “b0x” Betka of Noble Esports. Right now, they are the forerunners of competitive play on the Forza racing franchise and their success make them the highest-paid stars in the Forza scene. All three of them race on behalf of professional esports organizations – more of whom are now competing in the ForzaRC than ever before, which not only shows the overall continued growth and success in the racing esports scene, but also more interest and enthusiasm from larger team players such as G2, Noble and Veloce, as well as official Formula 1 teams like Sauber and Williams. “Right now, I’d say we are arguably the strongest team. Collectively we had the most points earned for any team participating in the 2018 season – and this would have been reflected on the leaderboard if the team was already formed before the season started. I’m sure with all the potential roster/team changes next season, things may be different,” he says. The 2018 season saw the formation of many new teams and rivalries, but it was also the longest and most extensive one yet in the history of the Forza Racing Championship. Mitch didn’t see the length of the season as an issue, however, but rather the number of combinations that had to be learned – with drivers requiring to master 17 different car and track combos for just one weekend of racing action. This effort can also be seen in the level of interest and passion the 2018 season of ForzaRC drew in. Prominent figures in motorsport like John Hindhaugh of IMSA Radio and pro rally driver Tanner Foust of Top Gear USA have appeared on multiple ForzaRC broadcasts to cast the on-track action, and there’s even been involvement from professional IndyCar drivers such as Josef Newgarden and Conor Daly. This interest also expands to professional esports organizations, as mentioned above, which saw the likes of Veloce, G2 and Noble competing in the ForzaRC for the first time alongside official F1 teams Sauber and Williams. Lazarus, a Canadian esports team, has also announced its plans to enter the Forza Racing Championship for the first time in its 2019 season. The Forza Racing Championship has certainly created a lot of once-in-a-lifetime opportunities for those within the Forza Motorsport community, including racers, drifters, painters and content creators alike, but for Mitch, the ForzaRC has allowed him to travel outside of his homeland, meet the Forza community in-person, and become part of a professional racing team that bares the legendary status of competing in Formula 1. Looking ahead to the future of the Forza Racing Championship, Mitch is hoping to further improve relations with his teammates and deliver his best performance possible out on the track in Forza Motorsport 7. “If the next season is team orientated as rumoured, of course the goal is to work on team relations and be the best team,” Mitch explains to me. 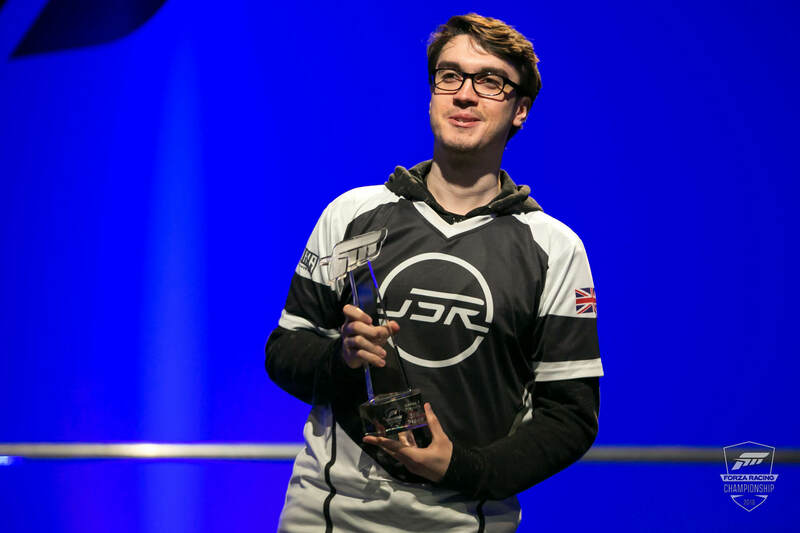 “However, regardless of the format, I will always give every effort to improve and better myself.” The British driver’s teammates include “Seven” and “RoadRunner,” both of whom made it to the 2018 ForzaRC World Finals in London, UK and finished in ninth and eleventh places, respectively. 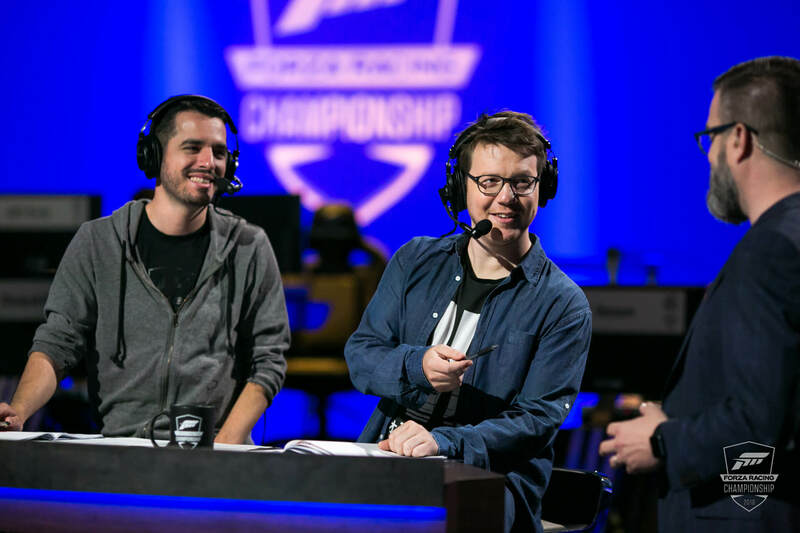 Microsoft has yet to announce official details for its next season of the ForzaRC esports series, but a 2019 season is expected to commence within the coming months, with many expecting a more team-driven competition following a successful Team Exhibition at the 2018 ForzaRC Pre-Season Invitational, which was hosted in Seattle, WA last March. 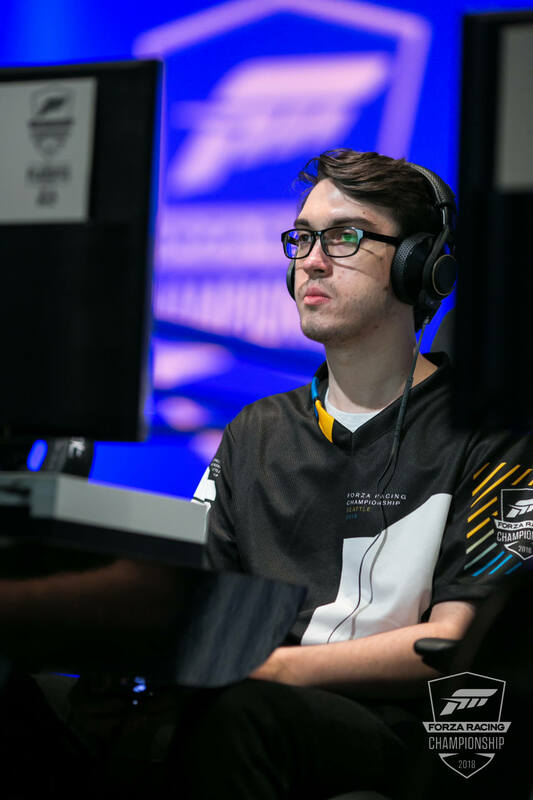 But this competition is crucial to Mitch and his future, who is considering the ForzaRC as a potential esports career for himself – but he even admits it’s only feasible for the front-runners in the competition, at least for now. Thanks to Gary “Mitch” Mitchell of Williams Esports for taking the time to speak to us for this feature story. If you’d like to keep up with Mitch on his ForzaRC journey, you can follow him on Twitter. Article cover photo courtesy of Joe Brady Photography.